43 Squadron ‘Gloria Finis’ 43 Squadron was formed in 1916 as part of the Royal Flying Corps. It saw distinguished service during two world wars, producing numerous ‘Aces”. The squadron covered the Dunkirk retreat and fought in the Battle of Britain with Hurricanes. In 1942, the Squadron moved to North Africa, now flying Spitfires begore moving to France in 1944 doing ground attacks, strafing and dive bombing enemy targets. The squadron last operated the Panavia Tornado F3 from RAF Leuchars, Scotland in the air defence role, until being disbanded in July 2009. 87 Squadron ‘Maximus Me Metuit’ 87 Squadron Royal Flying Corps (RFC) was formed in 1917 at Upavon from elements of the Central Flying School. On 17 December 1917, it moved to Hounslow Heath Aerodrome and was equipped with Sopwith Dolphins and S.E.5As, moving on to France in April 1918. After the armistice, the squadron moved back to England and was disbanded at RAF Ternhill on the 24 June 1919. The squadron did have seven aces on this type, in Arthur Vigers DFC, future Air Chief Marshal Leslie Hollinghurst, Henry Biziou, Charles Darwin, Herbert Joseph Larkin, Alexander Pentland, and Charles Edward Worthington. 210 Squadron ‘Yn y nwyfre yn hedfan’ 210 Squadron was formed in World War I. Disbanded and reformed a number of times in the ensuing years, it first operated as a fighter squadron. When World War II began the squadron moved to RAF Oban and began to re-equip with the Consolidated Catalina. 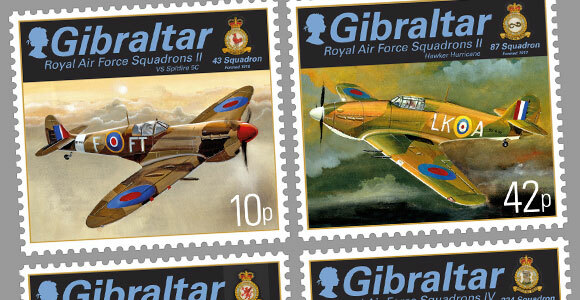 The squadron returned to Pembroke Dock in October 1942, with a detachment based at Gibraltar. In April 1943, squadron headquarters moved to RAF Hamworthy. The Gibraltar detachment was transferred to No. 202 Squadron on 31 December 1943 and the remainder of the squadron at Hamworthy disbanded. 224 Squadron ‘Fedele All’Amico’ 224 Squadron was formed in 1918, at Alimini, Italy from part of No. 6 Wing RNAS, equipped with the De Havilland DH.4. In June 1918 it re-equipped with the De Havilland DH.9. In August 1938 the squadron moved to Leuchars and from May 1939 began re-equipping with the Lockheed Hudson. The squadron returned to St Eval in July 1945 where it converted to Avro Lancasters in October 1946. The squadron disbanded on 10 November 1947. The squadron reformed on 1 March 1948 at Aldergrove, equipped with the Handley Page Halifax. In 1951 it re-equipped with the Avro Shackleton, which it operated from RAF Gibraltar, until disbanding on 31 October 1966.